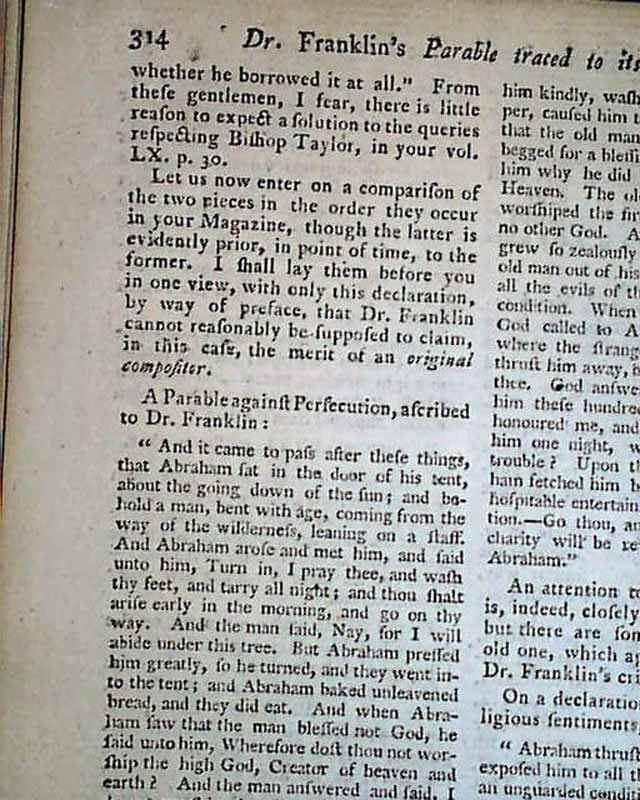 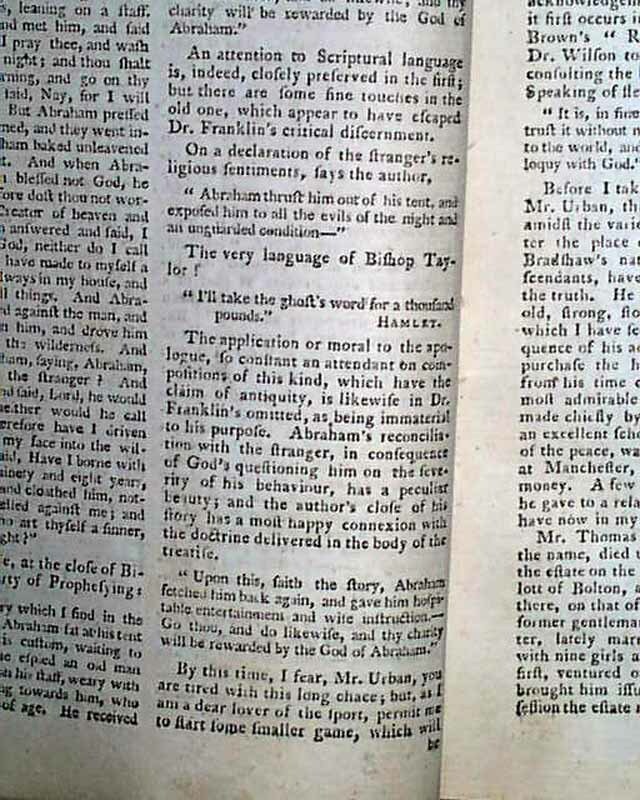 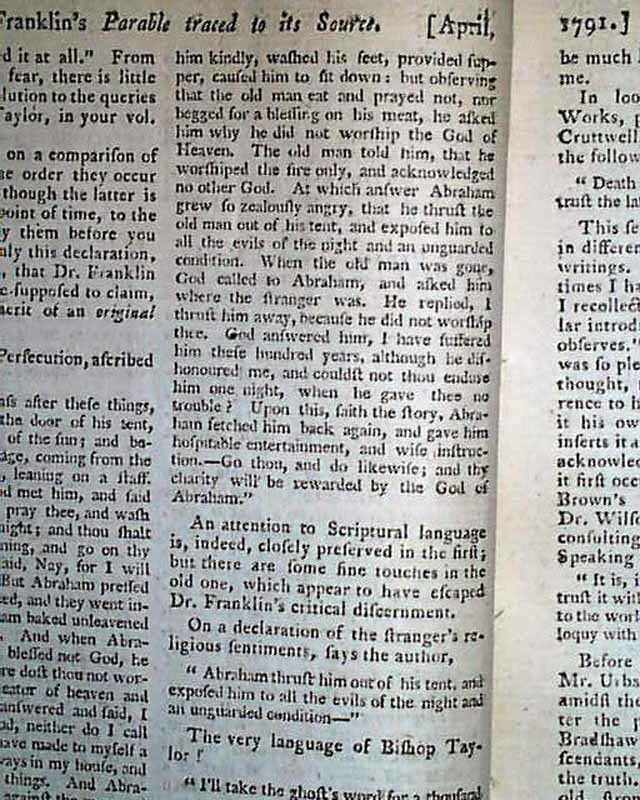 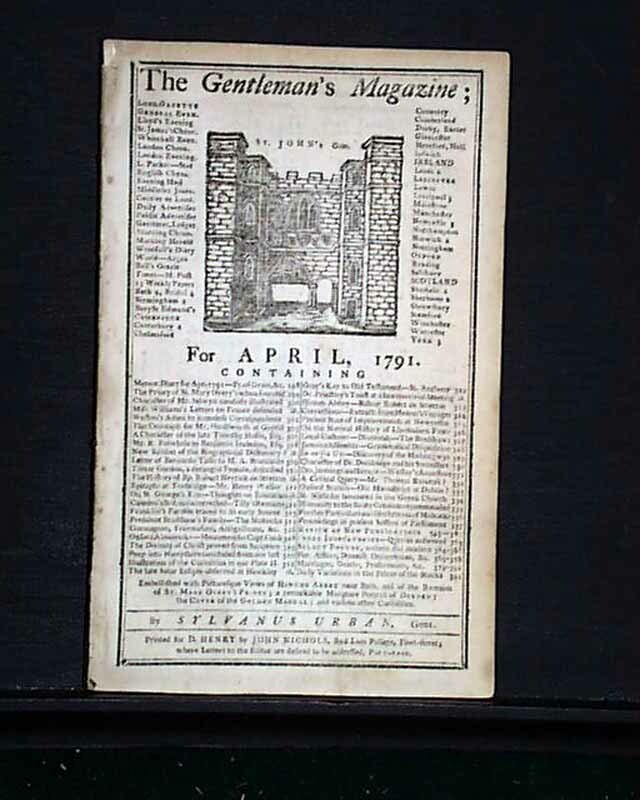 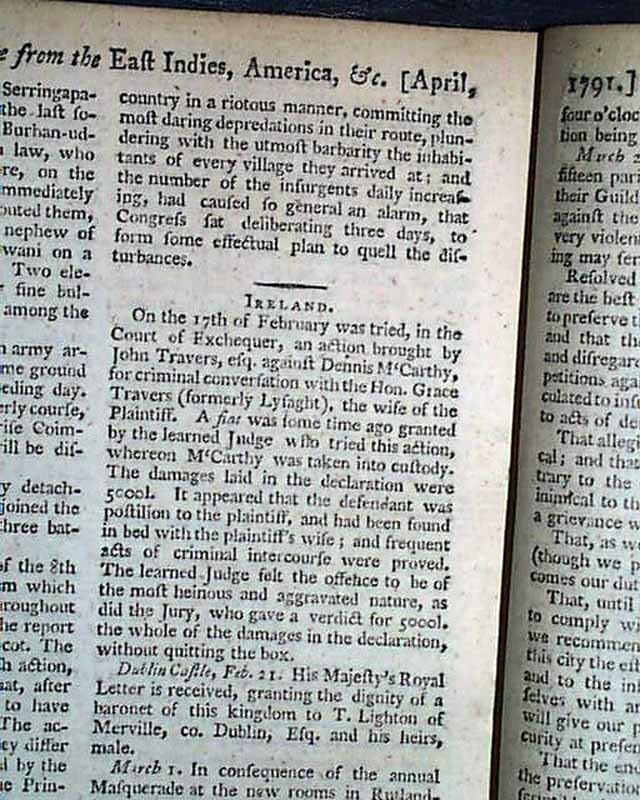 Item # 629124 GENTLEMAN'S MAGAZINE, London, April, 1791 Included is an interesting article: "Dr. Franklin's Parable Traced to its Source" which takes nearly two pages. 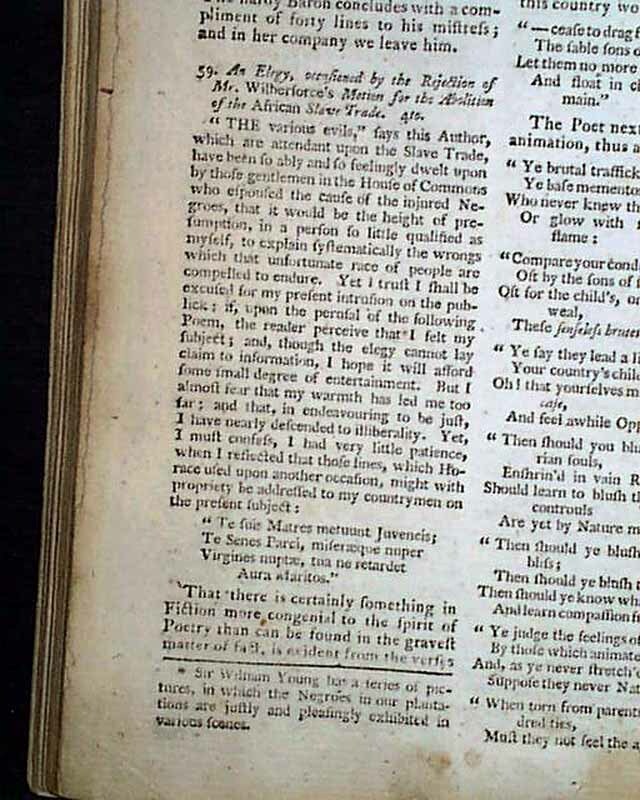 Also within: "Monument for Captain Cook" and: "An Elegy Occasioned by the Rejection of Mr. Wilberforce's Motion for the Abolition of the African Slave Trade" (see); and much more. 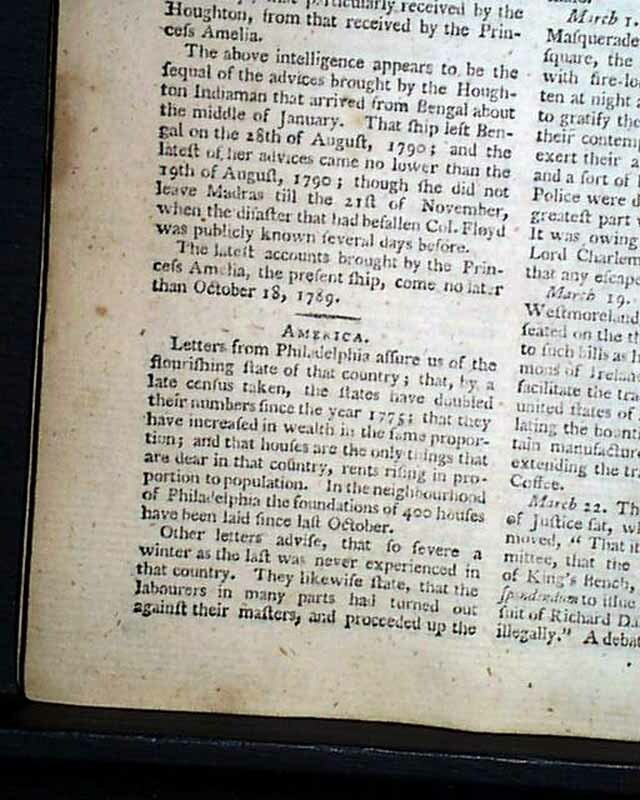 Near the back are a few reports headed: "America" including: "Letters from Phila. 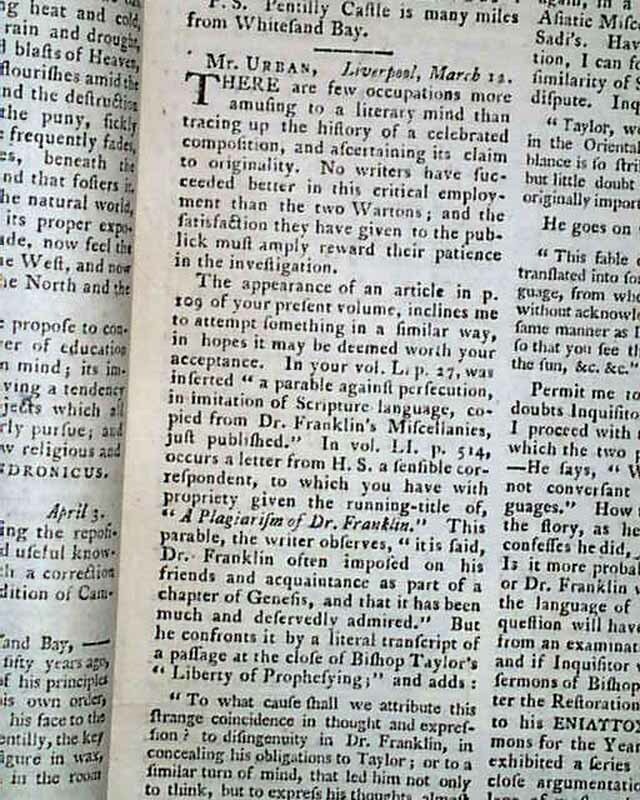 sure us of the flourishing state of that country; that by late census taken the states have doubled their numbers since the year 1775..." and more (see). 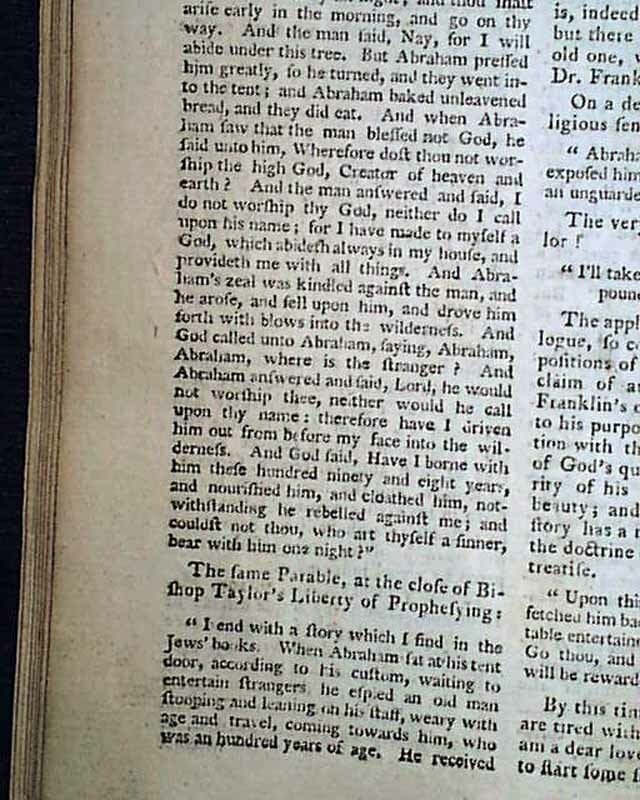 Lacking the plates called for.